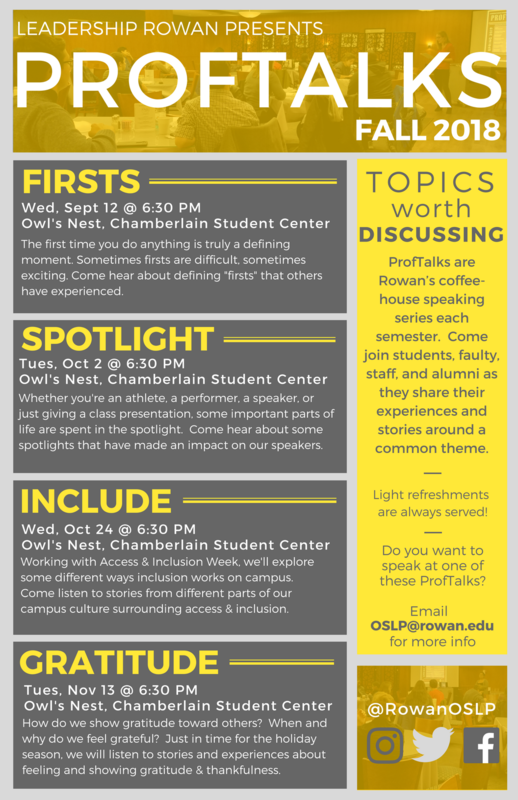 Originally modeled after TED Talks, ProfTalks have transformed into Rowan's coffeehouse style speaking series. This speaking series features various students, faculty, staff, and off-campus guests sharing their experiences with different subjects that highlight important discussion topics on campus. Leadership Rowan selects 5-6 speakers per ProfTalk, alloting each presenter with about 10 minutes. Speakers use this time to share personal anecdotes, life lessons, or words of advice related to the topic. For more information about upcoming ProfTalks, visit ProfLink. 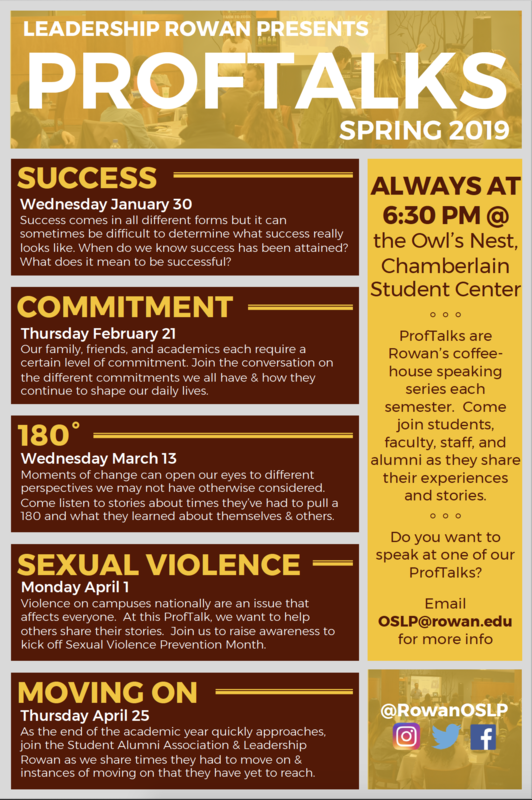 If you want to speak at a ProfTalk, email OSLP@rowan.edu to request more information.